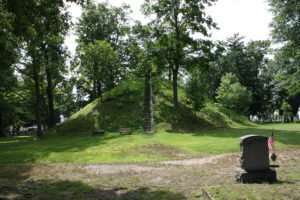 We’ll visit flat-topped pyramids that bear an uncanny resemblance to Aztec temples; walk down a sacred road more than 20 centuries old; and stand atop the Quadranou Mound where ancient astronomer-priests studied the movement of the sun, moon and stars. 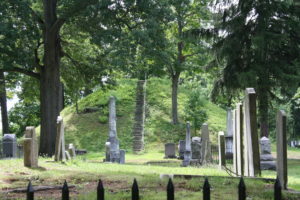 We’ll also explore enigmatic Mound Cemetery, the final resting place of Revolutionary War Patriots, and hear local myths of lost tribes, refugees from Atlantis, giants, goblins and buried treasure as we walk through the lovely Victorian neighborhood that surrounds the mounds. This tour is a fantastic opportunity to step way back in time. 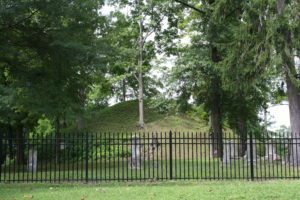 Over 2000 years old, the earthworks in this area are an important key to Marietta’s past. 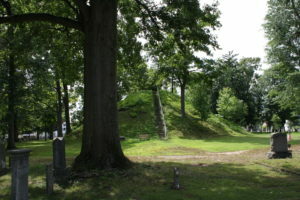 Ancient Earthworks departs from Mound Cemetery’s 5th Street gate (5th and Scammel Streets) at 2pm on June 15 and October 12, 2019. Tour duration 90 minutes to 2 hours. The distance covered is just over 2 miles. 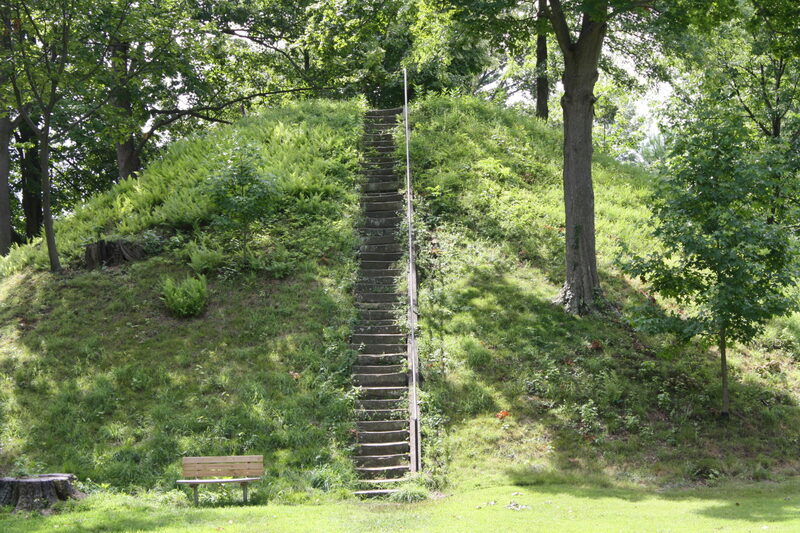 Although much of the Ancient Earthworks tour is over sidewalks, we walk through the grass and over some uneven terrain when we visit the Quadranou Mound. Comfortable walking shoes are highly recommended. Not an easy tour for those with motor issues. Bring your camera, where else in the world can you climb and play on monuments from the ancient past?